ALBANY -- As a state investigation into what’s been called the nation’s largest test-cheating scandal shifts from Atlanta to Dougherty County, officials in the impoverished southwest Georgia school system are proclaiming their innocence. 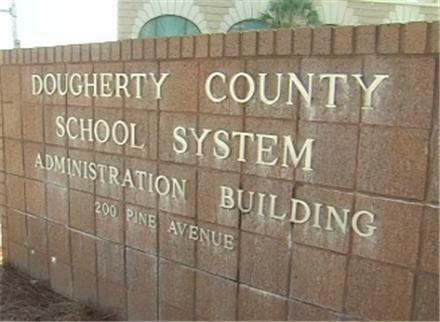 The system in Dougherty, a mainly agricultural county 190 miles away, was second only to Atlanta in the number of schools flagged last year in an analysis of erasures and wrong-to-right answer changes on the 2009 Criterion Reference Competency Tests. Suspicious erasures were found on test answer sheets in 191 schools in 35 Georgia districts, with 58 of Atlanta Public Schools’ 104 schools flagged along with 14 of Dougherty County’s 26 schools. A team of special investigators, headed by former state Attorney General Mike Bowers, is expected back in Dougherty by mid-August, having completed a scathing 800-page report on APS. That report, made public July 5 by Gov. Nathan Deal, said Atlanta teachers and principals were altering results for the high-stakes CRCT for years, boosting students’ test scores and helping to foster a national image of the district as an urban success story. In an interview last week at his Albany headquarters, Dougherty Superintendent Joshua W. Murfree Jr. said he expects teachers and staff in the 15,838-student school system to be exonerated. “I know we don’t have any cheaters in this system,” said Murfree, a former athletics director at nearby Albany State who was hired as superintendent last July, months after the release of the state erasure analysis. But investigator Richard Hyde said several local teachers already have confessed to cheating or offered tips. "We're encouraged by the cooperation we've been getting," Hyde said. "And we've been assured by school officials down there that we'll get their full cooperation, and I trust we will. I'm sure they want this over as much as anybody." Some in the community, where the frequently divided school board often makes headlines, also believe cheating may have occurred. “I don’t have any specific evidence, but it wouldn’t surprise me,” local attorney Jimmie Brown said over morning coffee with other regulars at Pearly’s Famous Country Cooking in Albany. “We pay a lot of money in school taxes down here for very little results,” Brown said, citing the local test scores and graduate rates. Lomax's son Michael was the state STAR student for 2010, a first for a Dougherty County high school graduate. He attended the county’s Westover High School and is about to be a sophomore at Yale University. While the school system -- the county's second largest employer -- is headquartered in a well-kept downtown area, it serves one of the poorest areas of the state. Eighty percent of the school system's students are eligible for free or reduced-price breakfasts and lunches. Some even get backpacks of food from an area nonprofit to take home. The system itself is struggling financially, planning to furlough teachers 10 days next year and forecasting a $9 million deficit. In February 2010, Kathleen Mathers, director of the Governor’s Office of Student Achievement, presented the results of the 2009 CRCT erasure analysis, raising flags about "minimal," "moderate" and "severe" concerns in 20 percent of Georgia’s middle and elementary schools. Among Atlanta’s flagged schools, 43 were put in the severe category and 15 were rated of moderate concern. In Dougherty County, eight elementary schools raised severe concern, and five elementary schools and one middle school were on the moderate concern list. That news didn't sit well locally, said Sanford Hillsman, who owns a business in Albany. "In the beginning, it was really a nasty thing," he said. Sally Whatley, who was superintendent at the time but now is retired, recruited local police to assist in an internal investigation ordered by the state that determined there was no evidence of cheating, school spokesman Harter said. The school board later decided to hire a consultant firm headed by a former Fulton County school superintendent to conduct a second investigation. Again, no wrongdoing was found, Harter said. Murphy argues the evidence suggests there was no cheating: 63 percent of the flagged classes were in first and second grades, where scores on the CRCT have no effect on whether a school makes Adequately Yearly Progress, a critical benchmark under the federal No Child Left Behind Act. Teachers and principals also stress that scores in some locally flagged classes went down in 2009, not up as they did in APS. "If you are going to cheat, you're going to cheat to make the numbers look better," said David Maschke, a local architect who was elected to the school board in 2000. “I don't believe there was cheating, and probably more than any board member I’ve gone through all the research." He said officials want a quick resolution of the investigation. "If they don't have any proof, it's time to let us move on and get back to education, because it is dispiriting and discouraging," Maschke said. "Enough is enough. Even if they do come out and say they didn't find anyting, it's going to leave a stigma for years." Average SAT score: 1301, compared with the state average of 1,453 and national average of 1,509. Superintendent Joshua W. Murfree Jr. on the cheating investigation: "As I said when I first came in, we don't have anything to hide. If people still need to investigate, that's fine. But what I don't want is my people interrogated. I want them interviewed. I think I have some of the finest people in this country, and I want them to be treated as professionals. I don't want any of this to disrupt education."